Tsogo Sun has for many years featured prominently on Durban’s Golden Mile. Southern Sun Elangeni, Southern Sun North Beach, Garden Court Marine Parade, Garden Court South Beach, and the SunCoast Casino and Entertainment World including theSunSquare and the SunCoast Towers hotels, offer exceptional variety for leisure and business alike. Tsogo Sun is retaining its commitment to Durban through the refurbishment, consolidation and relaunch of the Southern Sun Elangeniand Southern Sun North Beach hotels into one magnificent complex – Southern Sun Elangeni & Maharani. “Tsogo Sun’s investment in the Southern Sun Elangeni & Maharani complex is a direct response to the substantial investment into the revival of the Durban beachfront promenade by the eThekwini Municipality, which has seen the destination being upgraded and we are proud to be a part of it,” states Marcel von Aulock, Tsogo Sun’s Chief Executive Officer. The complex facilities include 734 stylish bedrooms; two well-equipped gyms; three swimming pools, with one heated pool; free Wi Fi connectivity; 17 meeting and conference rooms; two fully- equipped business centres; and eleven restaurants and bars offering a variety of a la carte and buffet meal options. The restaurants will include new offerings ranging from The Grill Jichana, a modern and stylish Grill House with great food in a convivial ambience; the Panorama Bar & Pool Deck, a bar and light food zone with views of the coastline, serving cocktails, mezes, ice creams, granitas and light meals throughout the day; the Ocean Breeze Restaurant, a laid-back Indian Ocean Island styled restaurant with a view second to none where guests can indulge in an Island-style buffet, with the emphasis on seafood and line-fish to flatbreads and crispy pizza, fresh out of the authentic pizza oven; to old favourites such as Daruma, Durban’s iconic Japanese restaurant, the Lingela Restaurant which, from breakfast to dinner, is one of the top traditional buffet restaurants in the country, offering a variety of dishes to suit every palate; and Piatto Mediterranean Kitchen, offering an a la carte menu for both lunch and dinner, serving traditional Italian, Greek, and Portuguese cuisine. Phase two will see the opening in the third quarter of 2013, of The Camelot Spa, which will feature five treatment rooms, a double treatment room with a hydro therapy bath and a Himalayan salt room in the Elangeni Tower. The historic Raffles area is being transformed into a multipurpose venue on top of the Maharani Tower available for conferences, launches, themed evenings and a myriad of other events with breathtaking views. 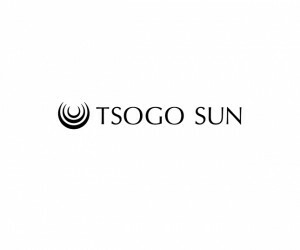 once complete, Tsogo Sun would have invested a total of R220 million.